Library Services provides computer and Internet access as an extension of our commitment to meeting the information needs of South Texas College. Library Services has no control over information accessed through the Internet and cannot be held responsible for the quality or accuracy of any information found there. The Internet accommodates a highly diverse population of users and creators; it is the individual patron’s responsibility to use this resource wisely. Library patrons, not Library Services or its staff, are responsible for the Internet information they select and/or access. All computer usage should adhere to South Texas College’s Acceptable Use Policy. 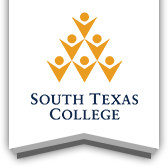 The Learning Commons & Open Computer Labs are for South Texas College students, faculty, staff and community users. Users must log in using their JagNet username and password or community user credentials. If a student or employee does not know his/her JagNet information, please see an Open Lab Technician for assistance. High School students, including minors, who are enrolled in any STC sponsored class or program and who have been issued valid STC login credentials, have access to computers. Important: The STC Library treats all college students as adults; therefore, it does not place age-based restrictions on user activities nor does it filter web content. For further information on college policies relating to High School Students enrolled at STC, please contact the High School Programs and Services Department. Community users receive a library community user card and receive their login credentials from lab staff. Here you can learn how to obtain a community user card. Computer users must present an STC ID or community user card, if requested. Users are responsible for their computer account and any activities which are performed under their username. Do not provide your username and password to any other individual. It is the user’s responsibility to log off of their account at the end of each session. STC students with class work and research needs have priority access to library computers. Although computers should primarily be used for educational purposes, limited personal use is allowed. Computers may not be used for commercial activities. Computers are not to be used for any fraudulent or unlawful purpose, including any activities prohibited under applicable federal, state, or local laws. This includes any activity that is a violation of copyright or other intellectual property laws. Do not attempt to circumvent or breach workstation, network or host security within the library, the college, or at other Internet sites, or to otherwise compromise the operation of, or access to these systems resources. Accessing restricted information or resources. Introducing viruses or other harmful or malicious software. Modifying computer hardware and/or software. Encrypting communications to avoid security review. Do not display or print graphic materials that may be objectionable or offensive. Posting messages or accessing materials that are abusive, obscene, sexually oriented, threatening, harassing, damaging to another’s reputation, or illegal is prohibited. Be aware that computer screens may be monitored remotely by library staff who can lock workstations that are being used in an unacceptable manner. Posting personal information is done at the risk of the user. Patrons should respect the privacy of other users, and should refrain from attempting to view or read material being used by others. The use of cell phones is not permitted in the open labs. We ask for students to assist us in maintaining a productive and professional environment by turning off cell phones while using the computers in the Lab. Children under the age of 18 years (other than students enrolled in STC classes) must be accompanied by a parent or guardian in the computer labs; however, they are not allowed to use the computers. The parent or accompanying adult is responsible for ensuring that children are not disruptive. Internet access and specific types of hardware or software may sometimes be unavailable due to technical problems. Use of computer equipment purchased with grant funds may be limited. Suspension of access to computers and the Internet. Other disciplinary or legal action, in accordance with STC policy or procedure and applicable civil and/or criminal law. View our computer lab Printing Policy to see our guidelines for printouts and learn how to request print credits.